Small changes can create a big impact to your workload or stress level. Today, we’re dealing with the latter. Click on the gear icon in the top right corner and select “Settings”. Find the “Undo Send” feature by Yuzo F and select Enable. Save changes at the bottom of the page. Click on the “General” tab and select the amount of time you wish to delay messages (5, 10, 20 or 30 seconds). You’re all set! Next week we’ll give you steps to “undo” a message for Outlook. SaneBox is an all-in-one email management solution that organizes your inbox, giving you the time to focus on the important work instead of sorting through non-urgent emails. 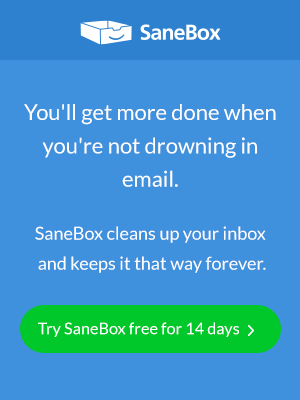 SaneBox offers email filtering, one-click unsubscribe, follow-up reminders, and much more. In the gmail there is a feature that we can undo the email if we have sent email wrong then we can revert it back but you have to follow some steps.